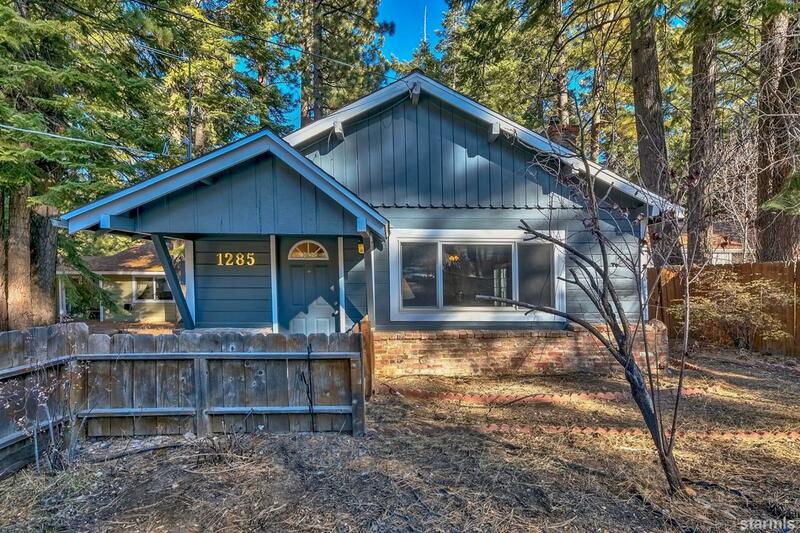 Newly remodeled single level home across the street from over 300 acres of US Forest Service land with some of the best hiking and snow sledding hills in the area, and close to everything South Tahoe has to offer. This home has just finished being remodeled with new paint and flooring throughout. In the kitchen there is a new granite counter top and new appliances. Both bathrooms have new vanities and light fixtures. From the cozy fireplace in the living room, to the large separate dining room with double doors out to the back deck, this home is ready to be a family home, vacation property, or a great potential income opportunity. There is a bonus room that separates the house into 2 different areas, which has been used in the past as a shared laundry room that locks on both sides to create a separate rental unit out of one of the bedrooms complete with it's own door for exterior access. Large storage building in the back yard.